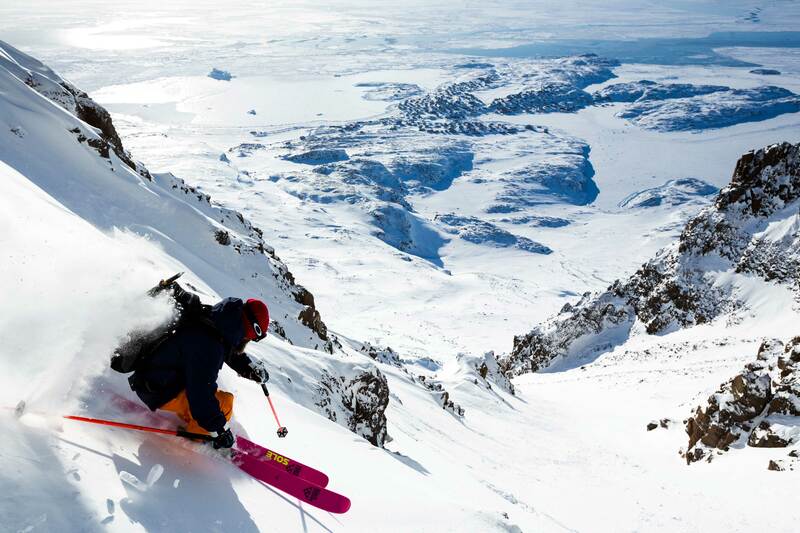 On the eve of the 10th anniversary of black crows’ first ski (the corvus 196 launched in December 2006) black crows now sells skis to suit all types of freeskiing as well as poles and accessories and has decided to launch its first line of technical apparel made for freeride skiing. 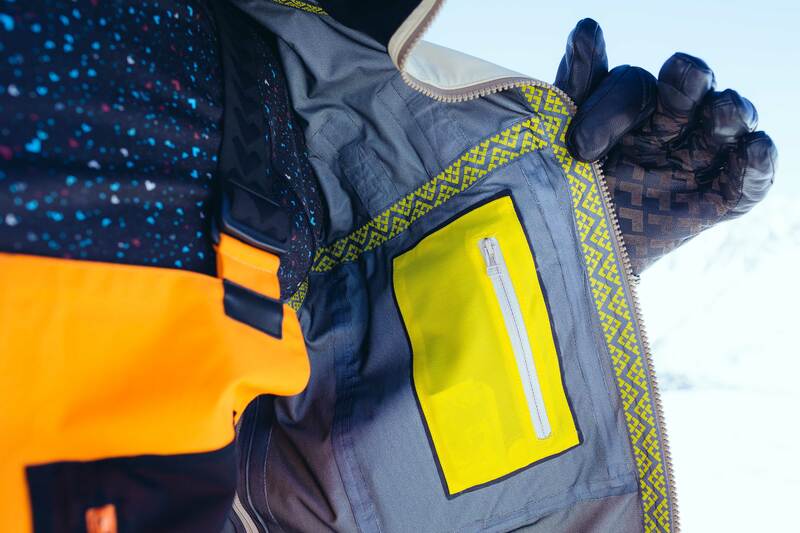 Our first apparel collection consists of a ski jacket and ski pant and two interior layers, gloves and beanies, and represents a point of convergence between the highly technical world of freeriding and the black crows’ aesthetic take on the skier’s anatomy. Designed by talented designer Camille Kunz, in close collaboration with the design agency Yorgo & co and the office team in Chamonix, these two ski ensembles don’t physically resemble black crows’ skis, but they have the same essence: highly technical products with a soupcon of exclusivity. 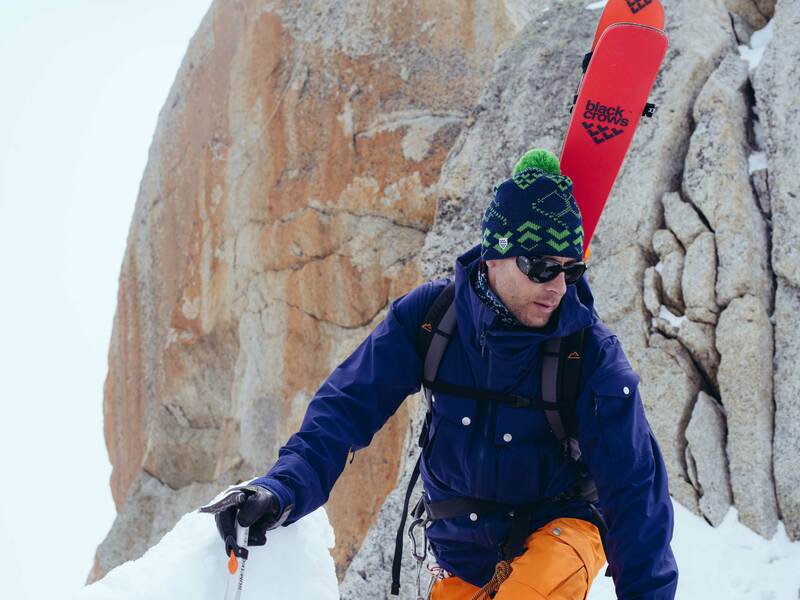 The idea didn’t just spring up from nowhere last winter, it had been slowly germinating in the Chamonix office for several seasons. The ski clothing market undeniably already boasts many high quality garments, but at the same time our high mountain experience proved to us that there were technical improvements which could be made and that an outfit which expressed the black crows identity could hold its own in the universe of contemporary freeskiing. It’s this identity which, since the birth of black crows, has continued to defy the traditional barriers between the mountain and urban worlds and which can now attire you – skis on or off. “There is an enormous range of ski apparel available and there are some very good products out there. However, like when we first decided to create skis, we felt like there was a gap in the market for a product which really gelled with our perception of style and functionality. 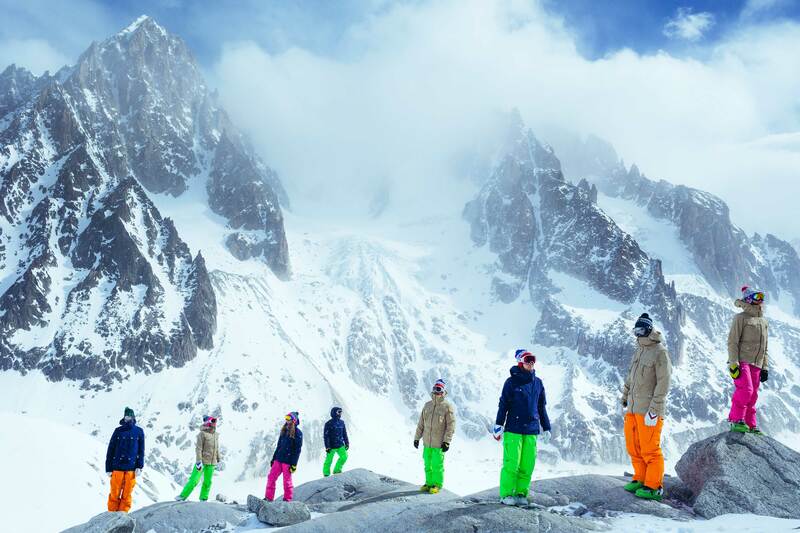 That’s why over time with the development of our brand and the consolidation of its identity, the idea of creating our own range of ski clothing became a no-brainer,” explains Camille Jaccoux, brand director. “We started completely from scratch, thinking about what we’d like to wear and taking into account the essential technical attributes which we need and which could work stylistically too. One of the rules we set ourselves was to not replicate our skis’ identity. The skis are a great graphic support and look lovely on the snow, but apparel needs to be worn off the snow too. I don’t know about you but I don’t have my skis on when I go grocery shopping!”. To find the right balance between high technicality and the black crows identity, we went for a three pronged approach and brought together a super-fresh designer, the Yorgo & Co studio in Paris and the office team in Chamonix. First and foremost it was up to the young and talented Swiss designer, Camille Kunz, to design the Corpus range. Winner of the prestigious Chloé prize from the Hyères International Fashion and Photography festival, Camille has also already created two collections for a Swiss clothing brand. With her strong background working both in the fashion world and with technical mountain clothing Camille was a strong influence on the sobriety, elegance and the highly technical aspect of the corpus range. She worked in collaboration with the Yorgo & co agency (whose founder Yorgo Tloupas has been black crows’ artistic director since the beginning) and the Chamonix office team, in particular Camille Jaccoux for his creative drive and Koosje Naberman, softgoods manager, who supervised the development. “I designed all the pieces off the back of a lot of discussions. We went back and forth especially for the details. For the colour prints it was mostly Camille and Yorgo who had the final say. The black crows team had a firm sense of direction which was the first thing which attracted me to the brand. And it’s an interesting juxtaposition between city-dweller Yorgo and mountain men Camille and Bruno. It’s nice to see the story which emerges from these two universes” explains Camille Kunz. “We went for global silhouettes, simple sketches and photographic references which brought a more urban aesthetic. We wanted the different layers to work as well on their own as they do when they’re worn together. And we paid special attention to the patterns, creating several made up from little chevrons” reveals Yorgo Tloupas. “We were inspired by iconic adventure and mountain clothing, legacies of apparel which has been tried and tested in the mountains, like the parka. And we wanted to mix different worlds and different know-hows like we always do at black crows. We collaborated with the best component manufacturers to create a product which is both technical and stylish” adds Camille Jaccoux. From these starting points the first black crows silhouette was born, with jackets inspired by the old-school mountain parka in sober colours and, in stark contrast, very brightly colored ski pants. 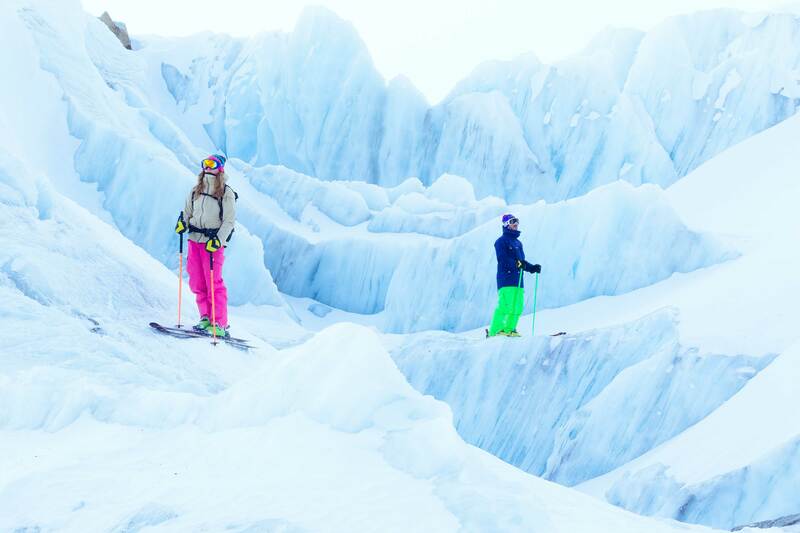 “We decided that the skier would be easily recognizable from afar with these contrasting tones on their top and bottom halves. In terms of visibility we decided against overbearing logos and having the brand name anywhere visible on the outside of the clothes. We went on the principal that we don’t want to be advertising boards on skis so we chose a more restrained approach. On the other hand we put a lot of details on the inside of the outfits, which gave us a giggle,” explains Camille Jaccoux. One of these special touches is the lining of the padded bomber-style jacket which is printed with the Mont Blanc massif in chevrons. Others include the interior waterproof seaming and the waist drawcord on the corpus jacket which have chevrons printed on them. “During the creation process the designs were repeatedly pored over and evaluated before the technical sketches were made into prototypes. As we’re extremely demanding regarding the quality of our products, the process took several months. 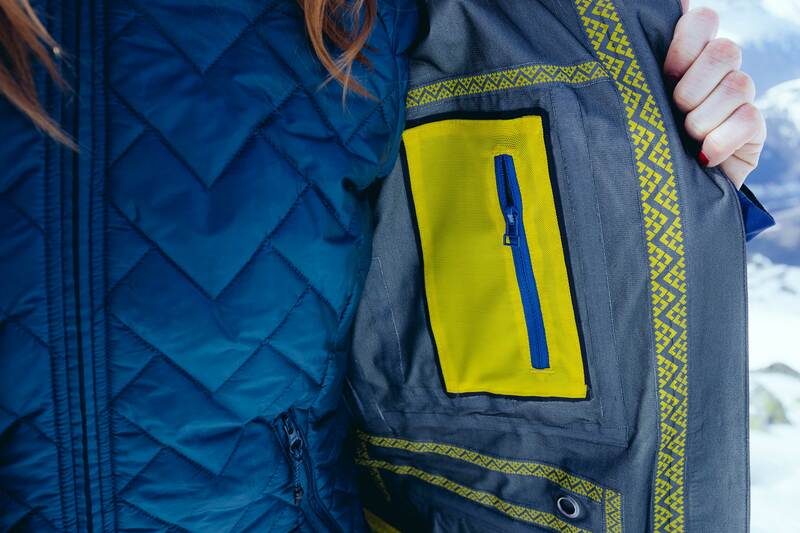 All the details were minutely analyzed and the products were wear-tested with changes made until each and every one of the wear-tester-skiers felt like they had a piece of clothing they really wanted to wear” remembers Koosje Naberman. In order for the creative vision for the corpus range to morph into a clothing line which would be irreproachable on the technical-front, black crows got in touch with the biggest specialists in the technical clothing industry – Goretex and Primaloft. To be selected by these manufacturers we had to make coherent and rigorous submissions – these big brands don’t share their know-how with brands who don’t have a solid project. 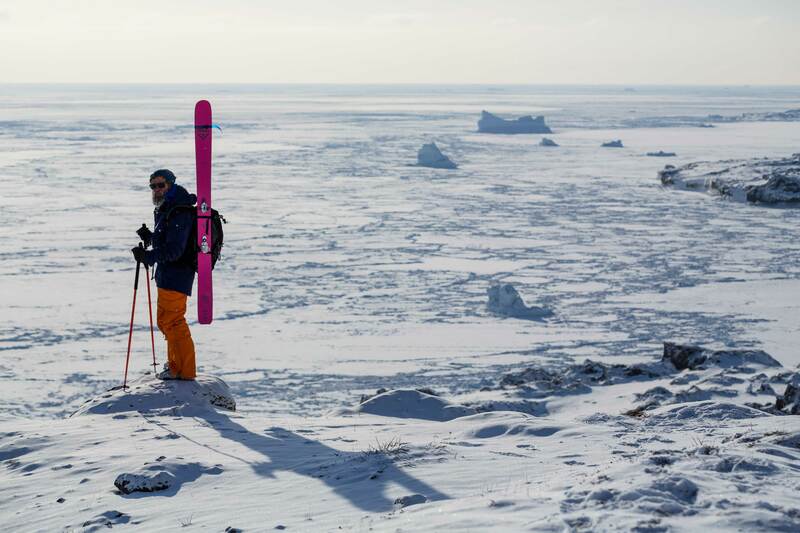 “Since day one we knew that we wanted to work with GoreTex. The French arm of the company was behind us 100% but it was up to the head office to give the green light and they don’t work with just anyone. It was only after numerous meetings and presentations that we finally got their definitive go-ahead months down the line and nowadays they’re super-motivated by the project” explains Koosje. The result of this dynamic is an intriguing and subtle collection whose minimalist aesthetic and technical rigor are an exact reflection of the black crows spirit. It succeeds in the hunt for synergy between the mountain and urban universes whilst differentiating itself from stereotypical ski clothing. The corpus apparel reflects black crows’ art of contrast: technicality, discretion and a strong identity. 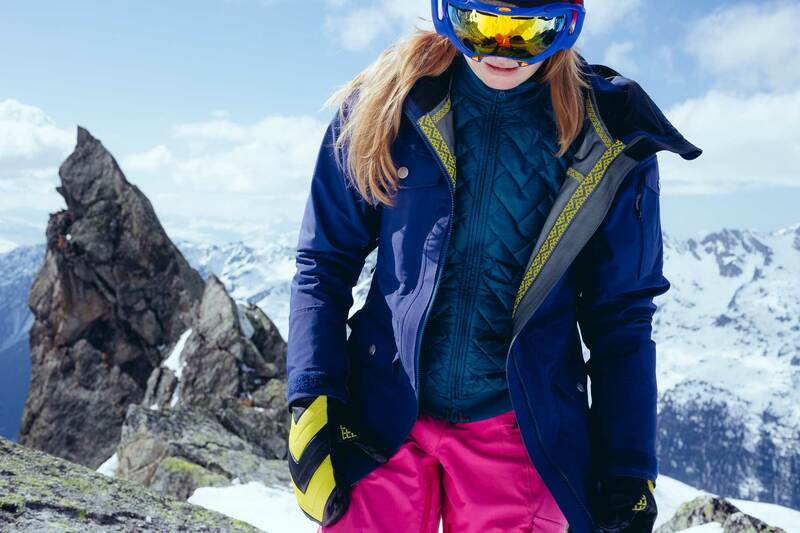 3-layer GORE-TEX® jacket and pant for men and women, designed for big mountain freeskiing. Padded jacket with PrimaLoft® Silver insulation for men and women. Baselayers, top and bottom for men and women.